An independent insurance agency serving Geneseo and Livonia, New York since 1973. 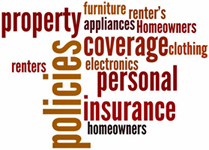 Our Agency offers all types of insurance for you. No two clients are exactly the same and that’s why we represent more than one company. We find out what you need and then choose a carrier that fits YOU. Many of the companies we represent offer discounts for having both your home and auto policies. Ask us if we can do this for you. Our offices are open Monday - Friday during normal business hours. Disclaimer: The Chanler Agency, Inc. is using this website, www.chanleragency.com, for the purpose of soliciting insurance in the state of New York.